Mobility is becoming key in every industry. When the public wants something, they want it now. Popup structures follow this principle: be fast, be flexible, and be mobile. Hotels are not where one expects to see innovation, but hotels created out of pre fab materials and shipping containers are becoming more popular than ever. 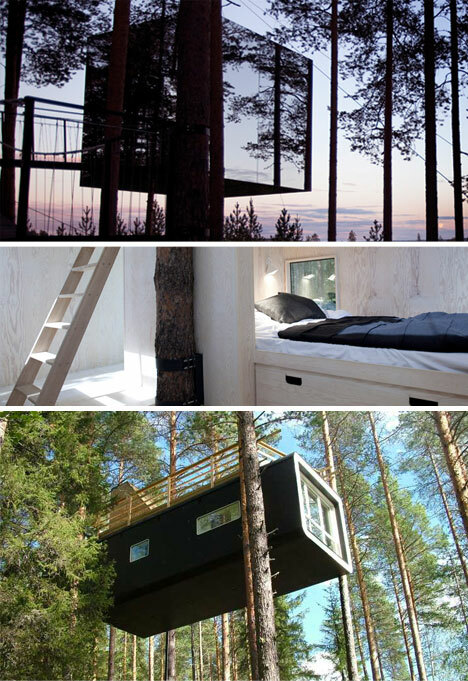 Treehotel in Sweden rents out a variety of rooms that are suspended in the trees out of view of anything but nature. The insides are spartan, with an elegant mix of organic and modern elements. 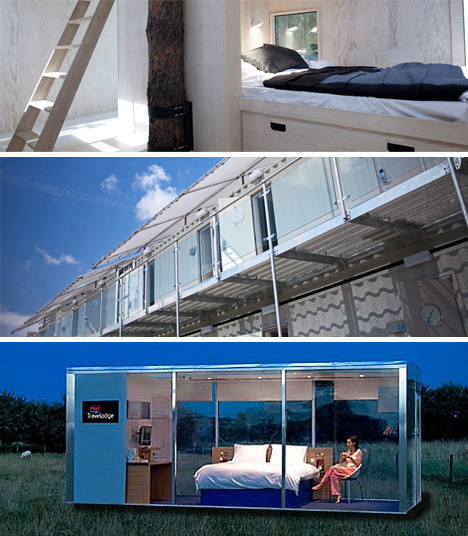 The Mirrorcube, pictured at top, is one of their most visually impressive, with the Cabin pictured below it. 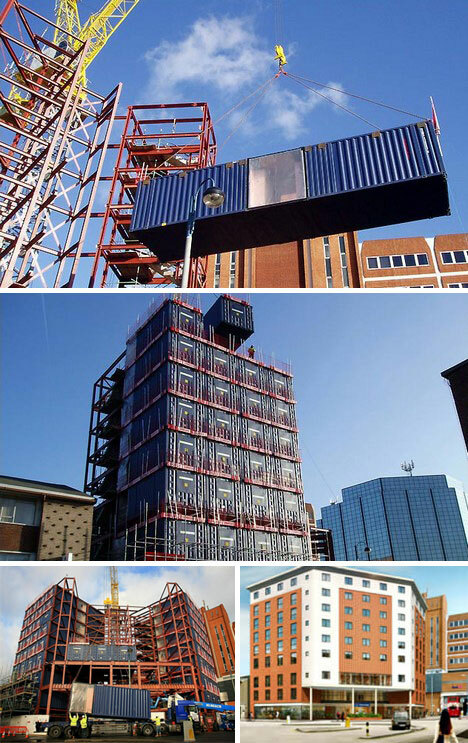 Travelodge has created a hotel out of thin air, in a relatively difficult construction zone, by using cleverly crafted storage containers of their own design, called Travelpods. These pods can be quickly and efficiently placed on a steel frame, with the inside already built to specifications. This allowed Travelodge to develop an entire hotel before the 2012 London Olympics. 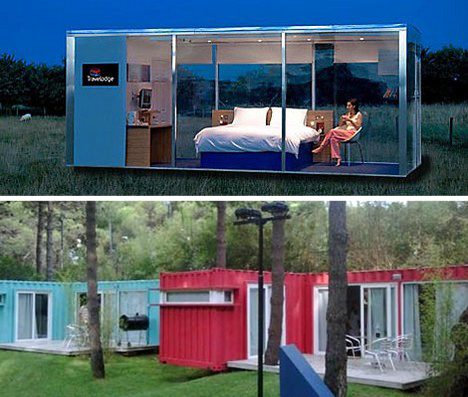 Here is a promotional image of a Travelpod, along with a shipping container hotel found in Buenos Aires. The unique design of these bungalows betray the fact that the rooms are built out of cold steel. 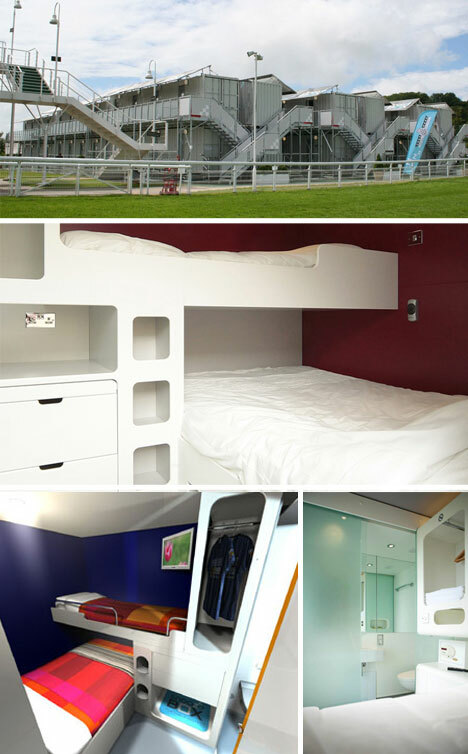 Snoozebox is a truly temporary hotel that can be carted anywhere around the country and popped up in no time. 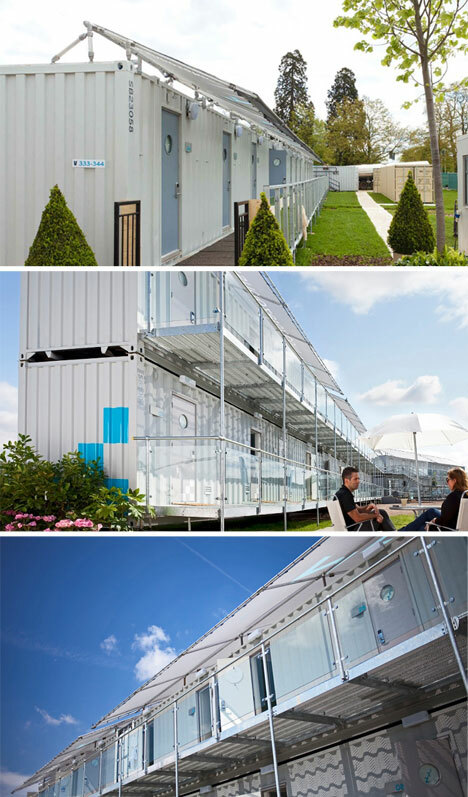 Each room is built from a shipping container that is retrofitted with all the amenities expected of a modern hotel. The inside of the rooms in the snoozebox hotel are pure efficiency, and a lot of class. They have extremely modern and streamlined appointments that are surprising for a room that is basically a giant shipping container. 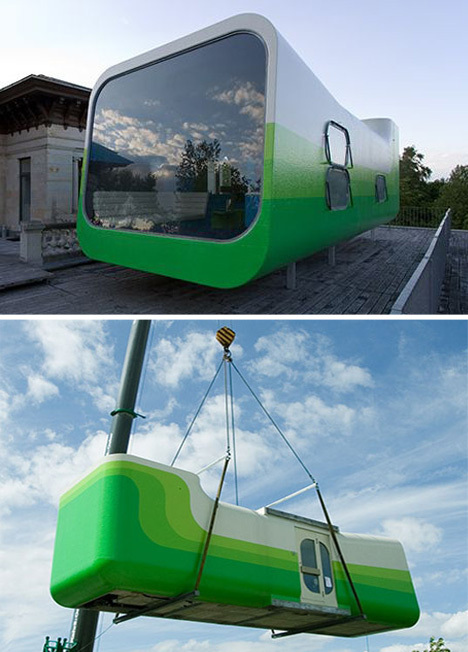 The prefab Everland Hotel consists of a single room that roams from country to country as the months go by. During the day, the room is open to visitors, but at night it’s only open to the people who reserved it. To give you an idea of the kind of locations the Everland Hotel visits, you could recently find it on the roof of the Museum of Contemporary Art in Leipzig, Germany.